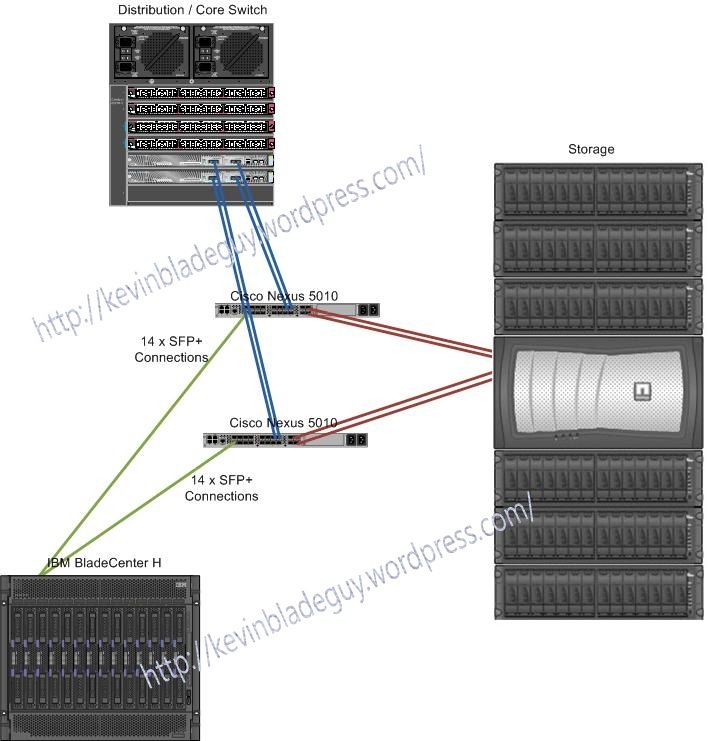 You are currently browsing the tag archive for the ‘Bladecenter H’ tag. 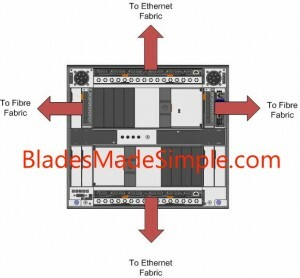 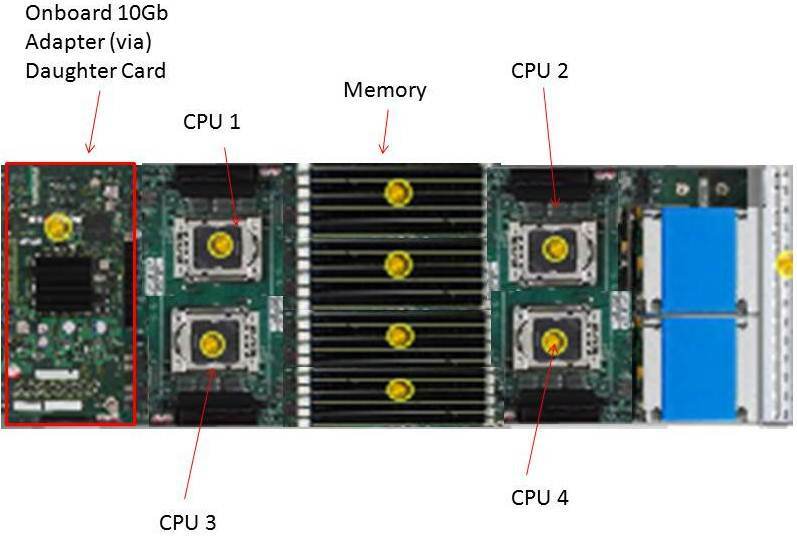 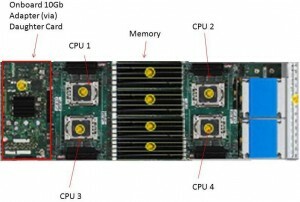 Cisco Nexus 4000 switch for blade chassis environments, I thought it would be good to discuss how IBM is able to connect blade servers via 10Gb Datacenter Ethernet (or Converged Enhanced Ethernet) to a Cisco Nexus 5000. 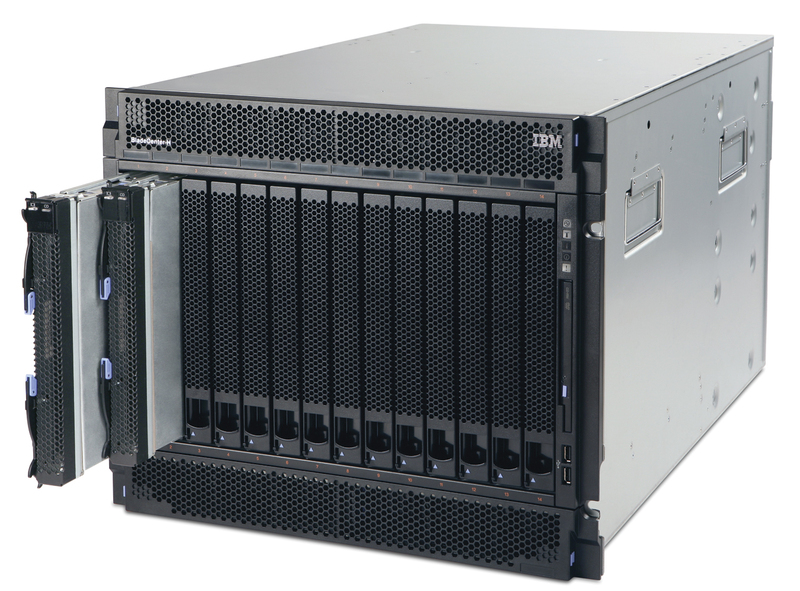 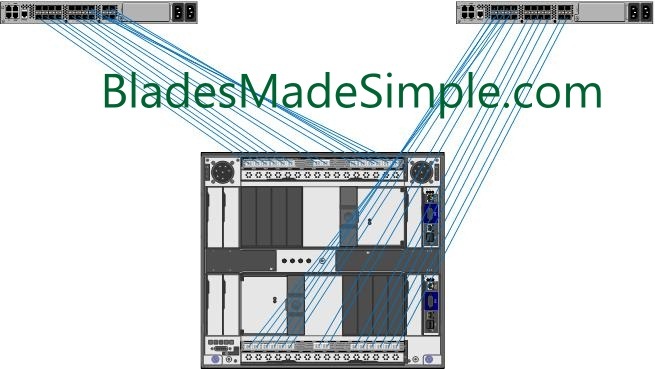 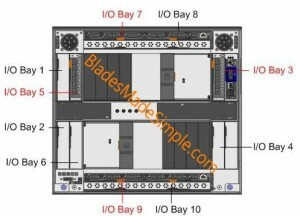 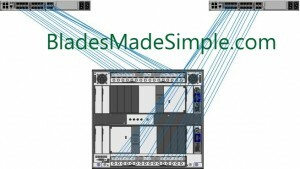 Since the CNAs are only switched to I/O Bays 7 and 9, those are the only bays that require a “switch” for the converged traffic to leave the chassis. 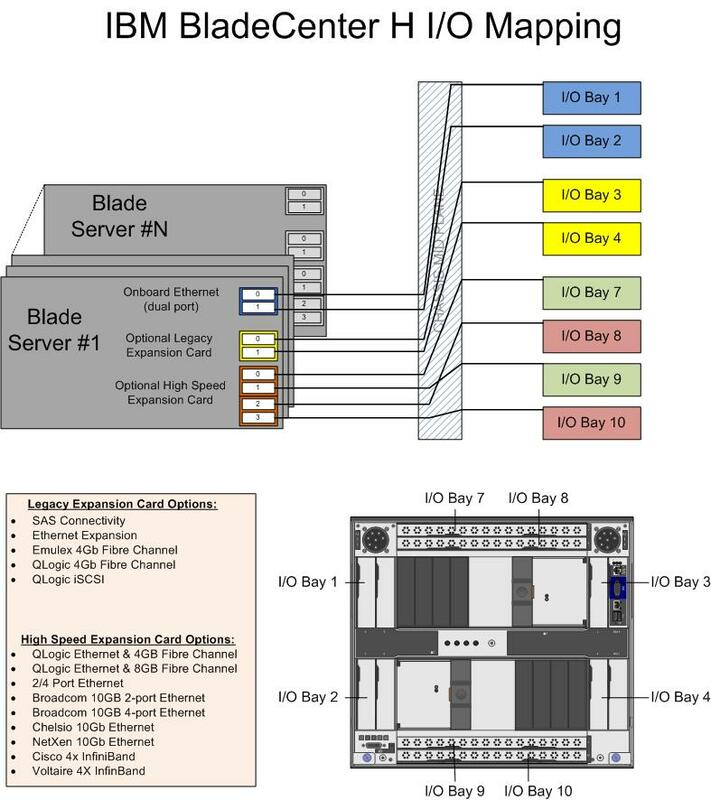 At this time, the only option to get the converged traffic out of the IBM BladeCenter H is via a 10Gb “pass-thru” module. 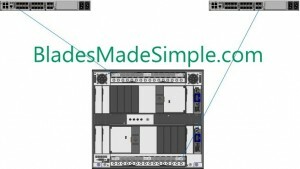 A pass-thru module is not a switch – it just passes the signal through to the next layer, in this case the Cisco Nexus 5000.